Time to build up those calves! This climbing challenge for runners is named in honor of one of the oldest and wildest races in the U.S., the Dipsea. An annual seven-mile free-for-all trail race through the big hills of Mill Valley, the Dipsea has optional (occasionally dangerous) shortcuts, unusual handicapped starts and about 2,200 feet of elevation gain. June 14th will mark the 105th edition of the race, and our Dipsea Climbing Challenge is the perfect pre-race training. Only 1,500 runners can race the course this year, but if you can finish this challenge, you’re certainly fit enough to finish the Dipsea. All Challenge finishers will receive a digital finisher’s badge to commemorate your achievement and this legendary race. 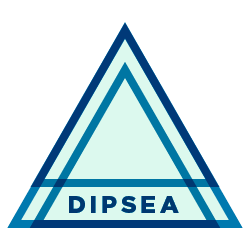 Athletes who complete this Challenge will receive a Dipsea digital finishers badge in their Trophy Case.